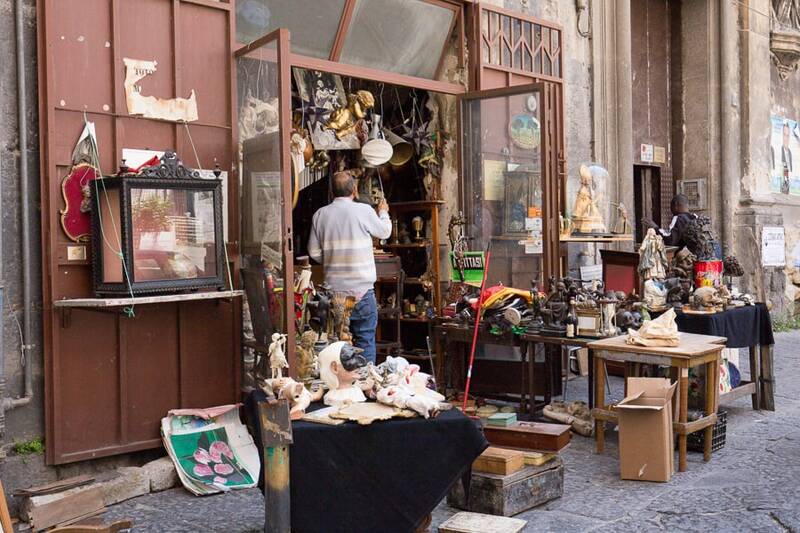 The true spirit of Naples is alive and well in its historic center, with its narrow lanes, hidden chapels, artisan workshops, and landmark pizzerias that have been tossing authentic Neapolitan pizzas for generations. 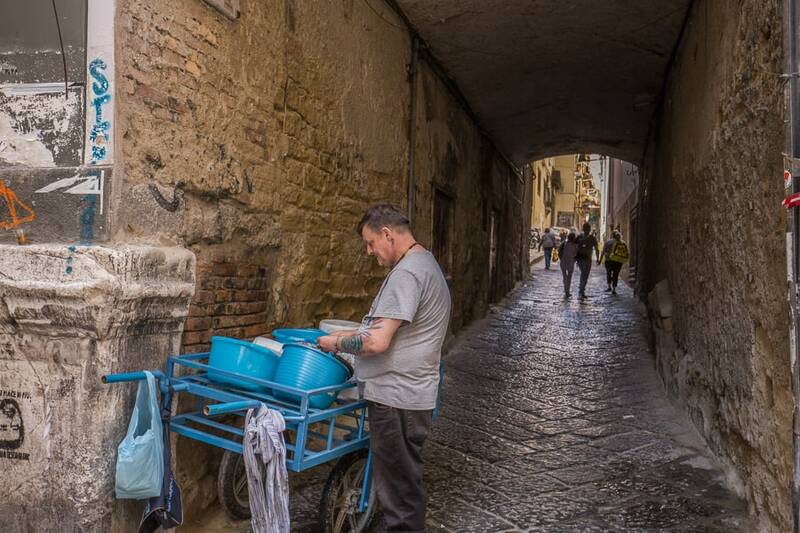 Here in this pulsating heart between Via Atri, Via dei Tribunali and Via Carmeniello ai Mannesi, close Via Duomo, you can discover the authentic side of this vibrant city at Vico Street: 4 self-catering vacation apartments boasting informal modern design with a Neapolitan spin and all the comfort and convenience you need to discover the art, culture, cuisine, and history of Naples! 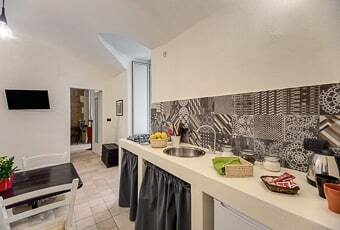 A chic mini-apartment on Via Atri with a double bedroom, kitchenette and living space with a sofa bed, bathroom with shower, air conditioning, and wifi. 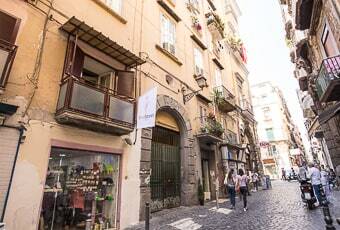 A holiday flat on Via Atri a steps from Pizzeria Sorbillo with a double bedroom, kitchenette and living area, sofa bed, air conditioning, and wifi. 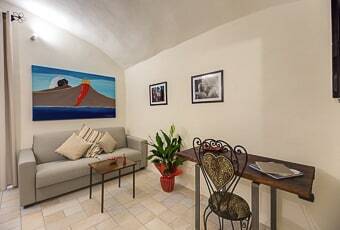 A vacation rental perfect for 2 to 4 guests located on Via dei Tribunali with a double bedroom, kitchenette, and sofa bed in the living area. 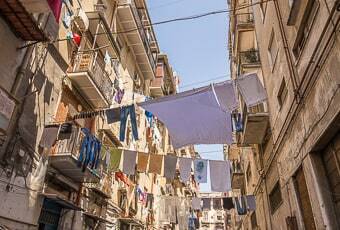 Vico Street's apartments are located on Via dei Tribunali, Via Atri (two cross streets of Naples' main thoroughfare) and Via Carmeniello ai Mannesi, close Via Duomo. Right in the heart of the historic center of Naples, with its colorful and vibrant authentic neighborhoods dotted with artisan workshops, cafés, and traditional trattorias and pizzerias. 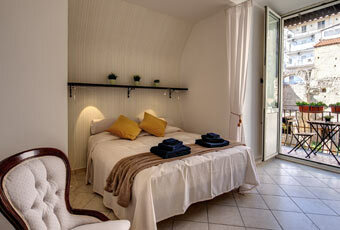 Our 4 holiday flats are ideally located for exploring Naples on foot. 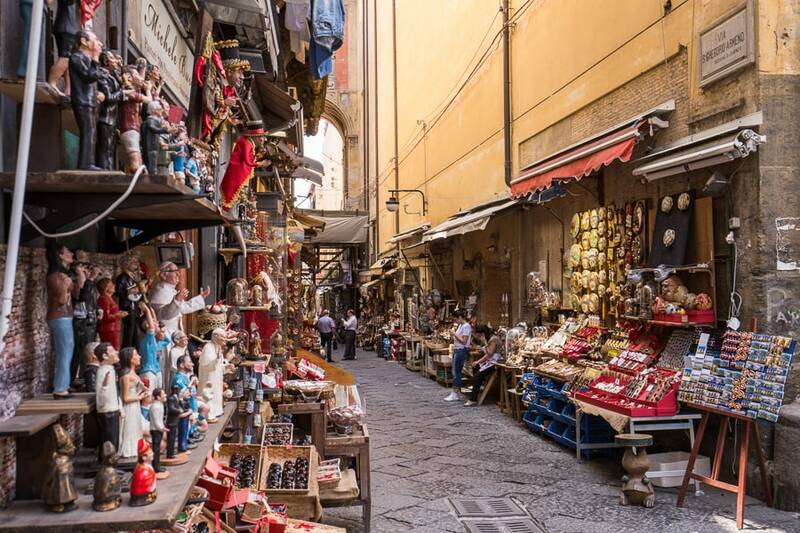 The most iconic monuments and important artistic and cultural sights are all just a five-minute walk away, including San Gregorio Armeno, the famous Christmas creche lane, and Naples Underground. 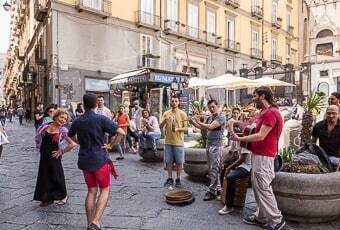 In ten minutes, you can walk to the Duomo and, a bit further on, Piazza del Plebiscito! 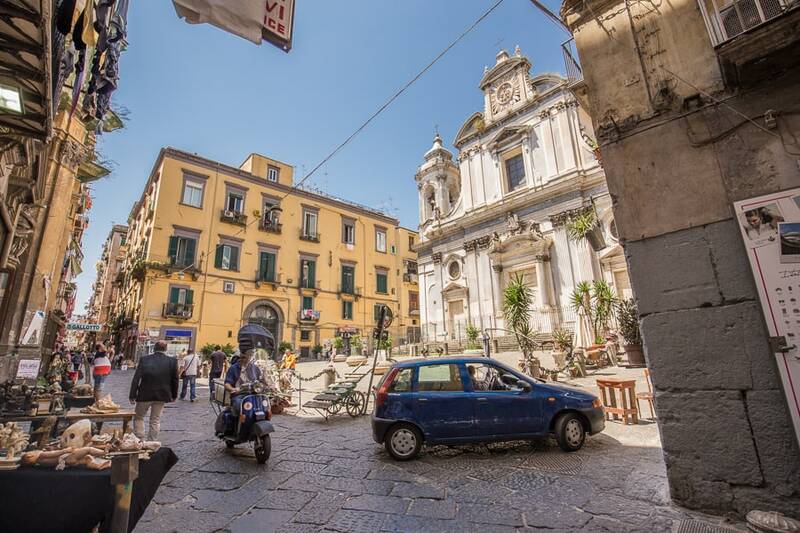 From the airport, take the Alibus bus service that stops at the central Piazza Garibaldi train station after 30 minutes. 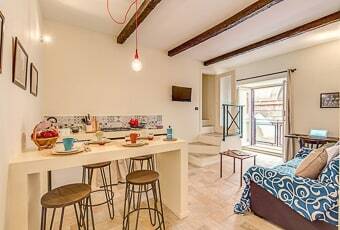 From here, walk 15 minutes to your Vico Street apartment. Bus tickets cost €5/person and are good for any local bus, funicular, or metro line for 90 minutes after validation. By taxi, the fixed fare is €18 to the central Piazza Garibaldi station from the airport. Remember to request tariffa fissa, or fixed fare, before boarding the taxi. It takes about 20 minutes to reach Vico Street by taxi. 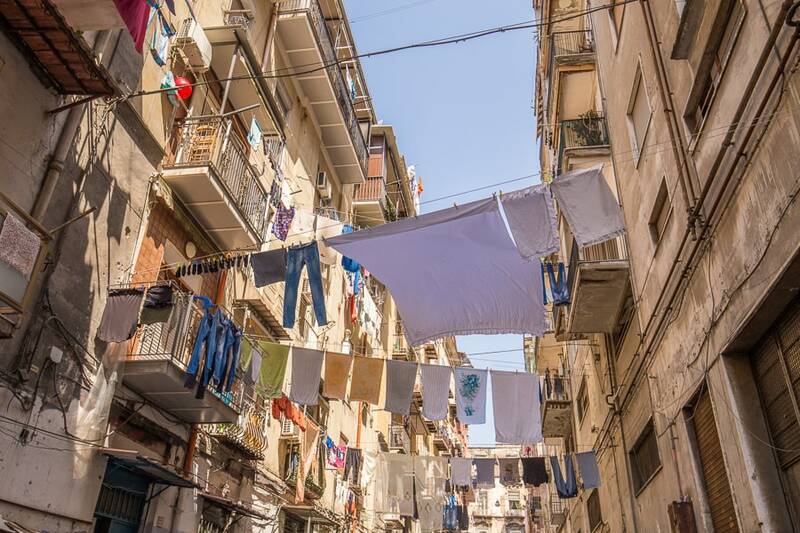 From Naples' main Piazza Garibaldi train station, you can take the Metro Linea 1 towards PISCINOLA and get off at the DANTE station just a few stops later. 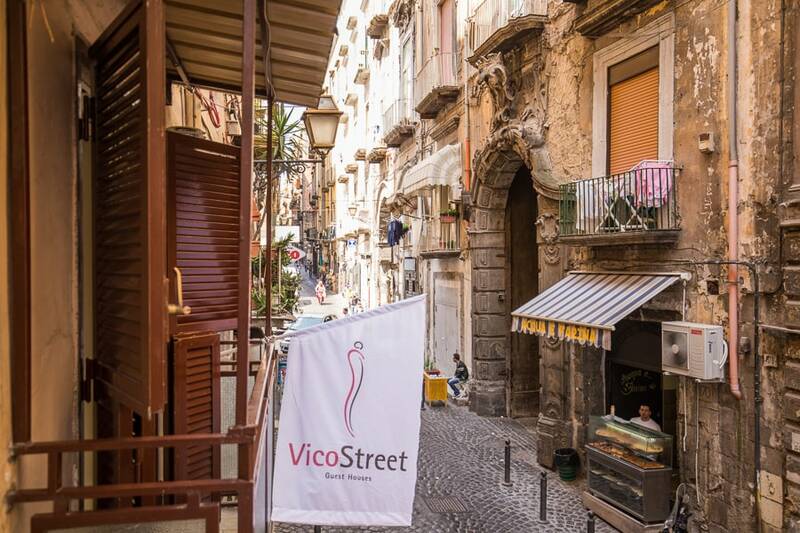 It is a 15 minute walk from this stop to Vico Street, just a few minutes less than simply walking from the train station. Take the Tangenziale di Napoli from the A1 Motorway, and exit at Corso Malta or Centro towards the signage for Stazione. 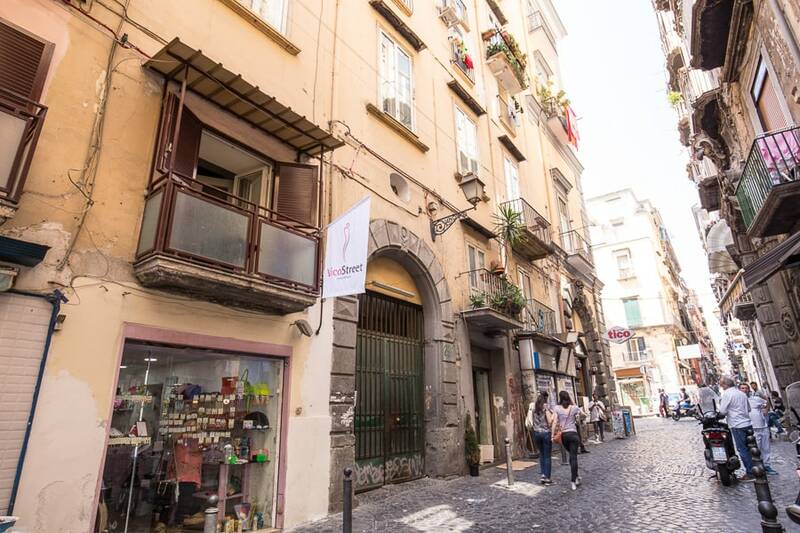 When you reach Piazza Garibaldi, take Corso Umberto I and turn onto Via Pietro Colletta. Continue along Via Cesare Sersale and then take Via Vicaria Vecchia and Vico dei Zuroli to Via dei Tribunali.